Walmart’s competition with Amazon has just reached new levels, with the former looking to cut into a bigger piece of the millennial pie. Millennials aren’t exactly Walmart’s demographic, as its scant number of stores in urban areas attest. But the company’s acquisition of Jet.com might change all that. The website is set to launch Uniquely J, a high-end brand of home and grocery items like coffee, detergent, olive oil, paper towels and other merchandise for the household. The brand is aiming to cater to city-based millennials, a demographic with a penchant for buying exclusive products online and a group that Walmart doesn’t really reach. Meredith Klein, Jet.com’s public relations director, explained that everything about Uniquely J’s products– from the quality ingredients, bold packaging, and fun label copy– were designed and developed with the express goal of attracting and serving the millennial consumers from metro areas. Walmart is hoping the introduction of Uniquely J will help it narrow down Amazon’s lead with millennials, particularly now that Jeff Bezos acquired Whole Foods Market for a whopping $13.7 billion. The company’s private label– 365 By Whole Foods Market– is expected to expand further now that it’s under Amazon. This is why Walmart’s decision to push Uniquely J isn’t really surprising, especially if the company wants to make inroads in the demographic that Amazon has a strong grip on. There’s also no denying that private brands can bring in higher profit margins since the company would have sourcing control. Bringing in Jet.com and launching Uniquely J is also a good way for Walmart to show that it can also be known for its high quality products, as well as its low prices. After all, the retail discount giant has had issues about the state of its products before. 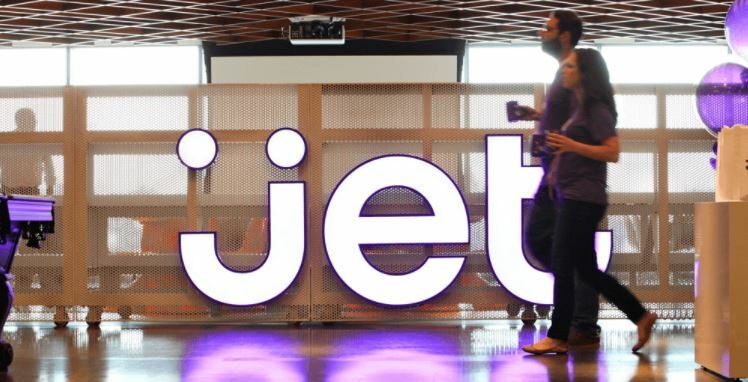 Jet.com will reportedly include deluxe brands like Modcloth and Bonobos in its product line. It’s also been reported that Uniquely J will have “better quality than many of the national name brands.” And if those brands do well, the Uniquely J product line might eventually find its way to Walmart stores. Consumers can expect to see Walmart pushing its boundaries further as it explores and experiments with ways to win a greater share of the grocery industry. Aside from launching Uniquely J, the company is reportedly conducting trials in Silicon Valley by having staff from the Deliv company bring groceries to customers who are away from home.